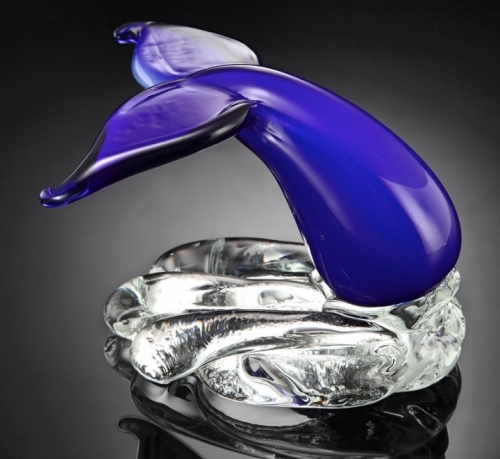 This exquisite Art Glass Blue Whale Tale Sculpture is meticulously crafted by hand to ensure the finest details and quality. The stunning design will enhance the beauty of your home or office. Because every piece is finished individually by hand, no two pieces are ever exactly alike. An elegant and timeless piece of artwork that will be enjoyed for a lifetime. Makes a great gift!